Modifications (Mods) for 1.14 Java Edition is all that changes the original Minecraft Village and Pillage Update world, adding something new or changing an existing one. Especially popular mods on weapons, armor, and transport. To make the game more interesting, it is necessary to download mods for minecraft. This is done absolutely for free. From the total mass of mods for Minecraft, you can select Forge, which is required for all other modifications. Besides him, I suggest you download other support the program, and mods to crafting and inventory. Minecraft mods can be divided into two categories: global and local. We advise you to pay attention to industrial and construction modifications, as well as those that add new worlds, vehicles, weapons, equipment, etc. Here is a large-scale magical modification that will introduce a unique system of progress that will give you special tasks and offer to solve interesting puzzles. As you progress, you can try out new abilities, mechanics, weapons and even artifacts. 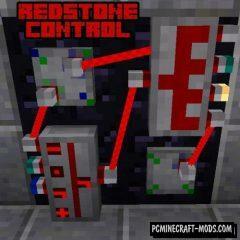 Redstone Control will introduce an innovative system to control the Redstone signal. It will be supplied by wire connection of the source and the unit itself. There will no longer be a limit of fifteen blocks, and connections will not even be tied to the six sides of the block. This modification will add a more efficient analogue of the Redstone system, which is a relatively simple logic circuit based on an event-driven algorithm. These schemes are handled differently than Redstone, which allows you to increase performance and create large schemes, even on weak computers. Here is a pretty interesting mini-modification that was inspired by Extra Utilities. 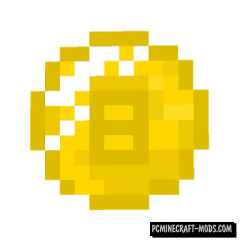 It is able to add to your minecraft craft special, unique coins, with the presence of which you can fly even in survival mode. 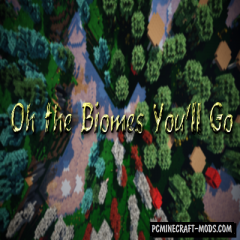 The long-awaited third part of a unique mod with which new viruses and bacteria will appear in minecraft. The danger will lie in wait for you literally everywhere, and to fight it you have to create vaccines and constantly maintain their immunity. Old and quite popular modification, with which in your world will be a lot of new mobs, ranging from peaceful big giants and ending with horrifying elementals and menacing shadows. Each mob has its own unique model, size and biome habitat. 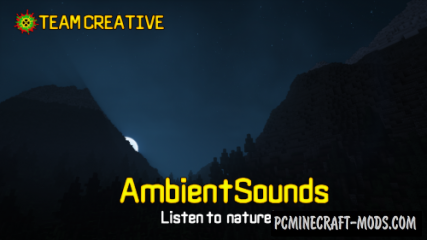 This is an interesting, adventure modification that adds bright, impressive biomes to your minecraft, as well as some blocks and objects. With this modification, your world will become more diverse and travel in the game will be even more interesting. And this modification, called the Flying Things is designed to introduce into your game magic brooms and carpets, with which you can very quickly and comfortably move through the air. These are the ideal means to move. A modification called Pet Slow is designed to add a fun miniature companion, which can be tamed and even treated with special soups. Following you, it will place the torches where the light level is less than 3 (just don’t forget before that to give him the torches).